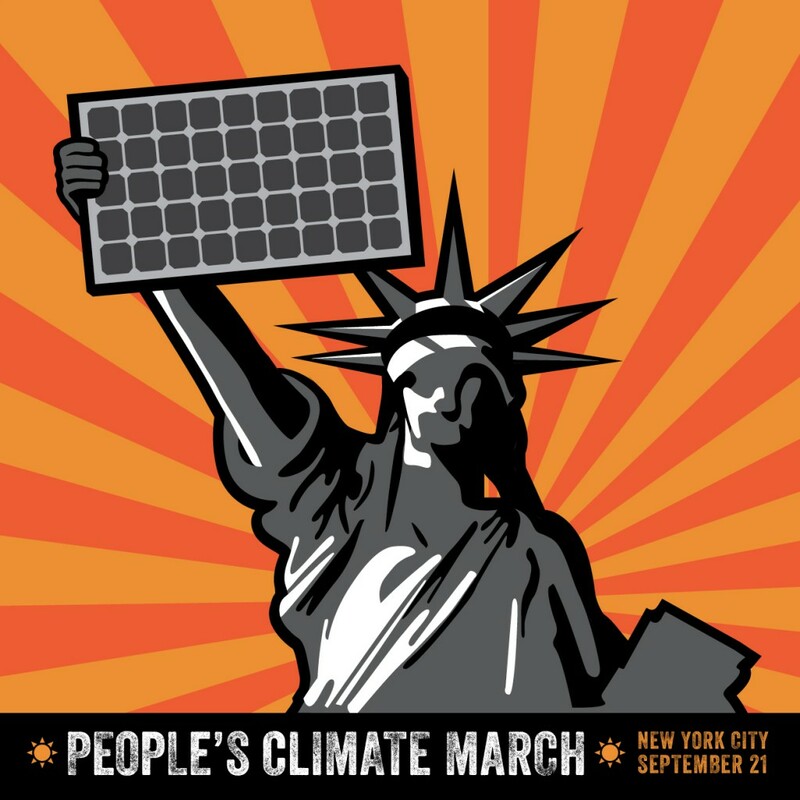 Browse: Home /	Climate Change, Community Building, ENERGY SOLUTIONS, Events / Come with us to the People’s Climate March! Be a part of history on September 21, 2014! The People’s Climate March — held just days before the United Nations Climate Summit — is an unparalleled opportunity to let our world leaders know how urgently the public is calling for solutions to climate disruption, and how we need to move quickly from dirty fuels to clean energy. This event promises to be the largest mobilization of support for climate solutions the world has ever seen. Sustainable Flatbush will be there and YOU are invited to march with us! We’ll meet for conversation and snacks (provided by our friends at Flatbush Food Coop) before heading to Manhattan, where we’ll join the Climate March’s Food Justice Contingent. Meet neighbors who share your concerns for the planet, then join us to be part of this historic event. * As you locals know, our amazing neighborhood street fair, the Flatbush Frolic, will also be held on September 21st. We hope to return from the March in time to enjoy this wonderful annual celebration!